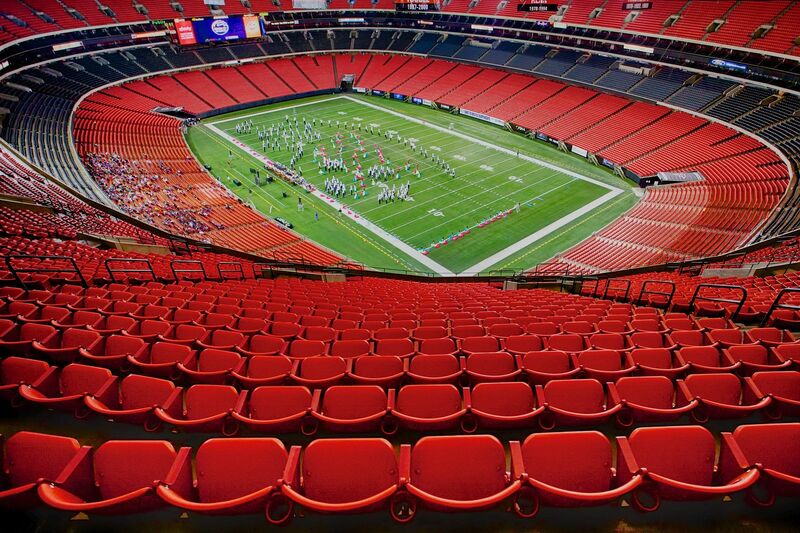 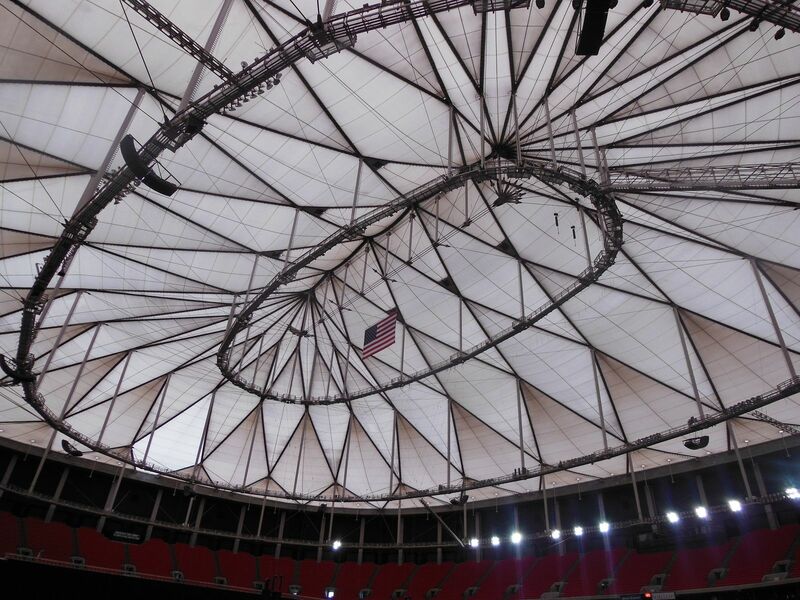 Built with the cost of 214 million, Georgia Dome became the world’s largest indoor facility when it opened in 1992. 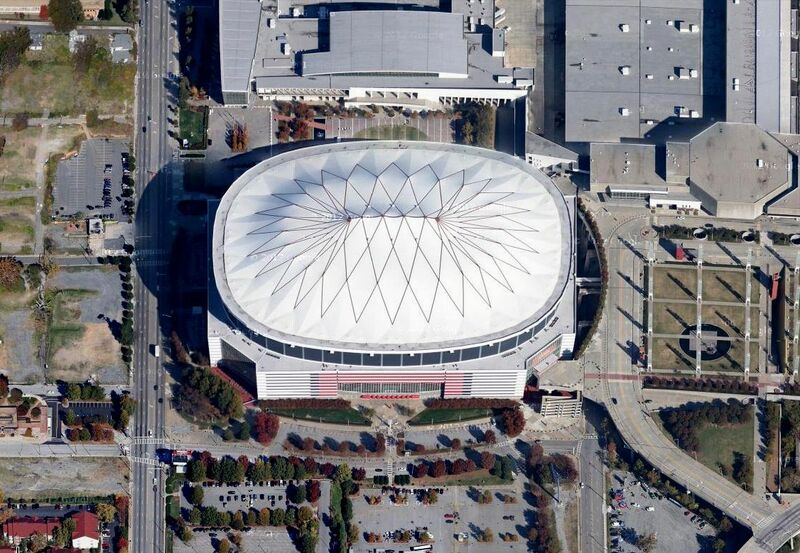 The closed roof is a unique combination of steel elements with tensile membrane, giving it the distinctive shape dominating the north-western part of Atlanta’s downtown. 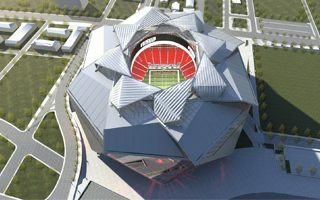 With capacity initially set at 72,250 and the height of 82.5 meters (surface of 227.3m x 185m) it’s Georgia’s second largest stadium overall, losing only to Sanford Stadium. 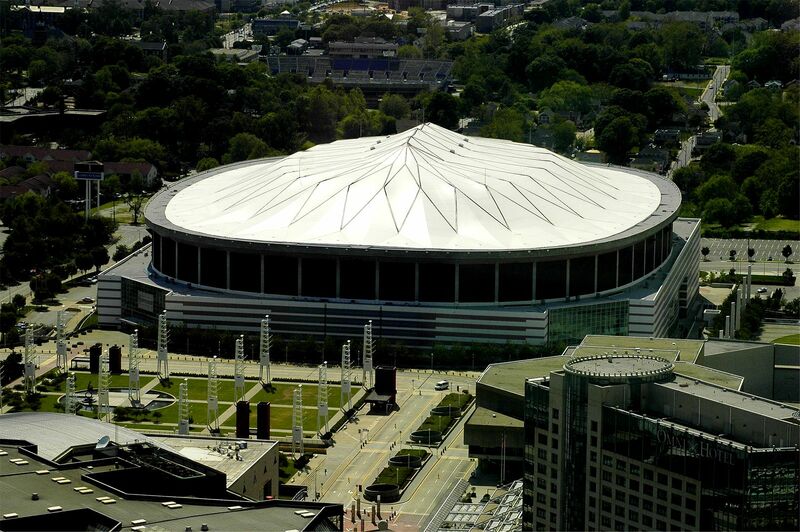 In 2006 the plan of thorough renovation was announced, estimated to cost $300 million. 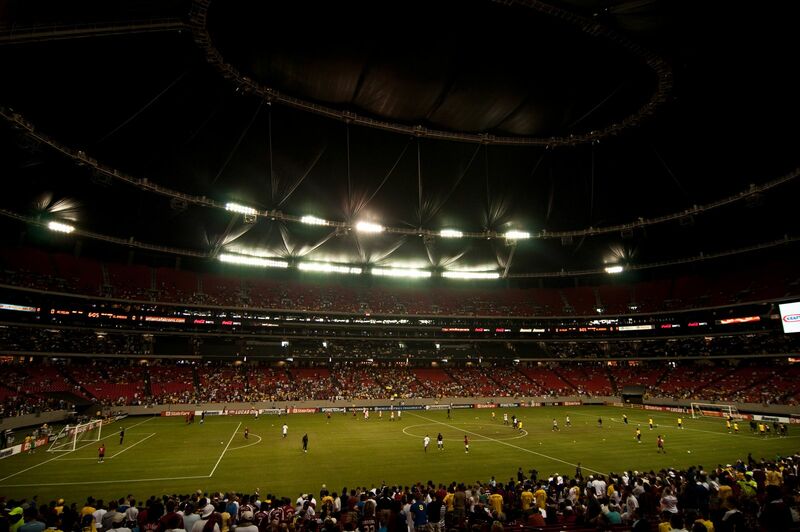 The stadium was revamped in two phases. First the corporate infrastructure was redone in 2007 and then in 2008 the entire interior received new furnishings. 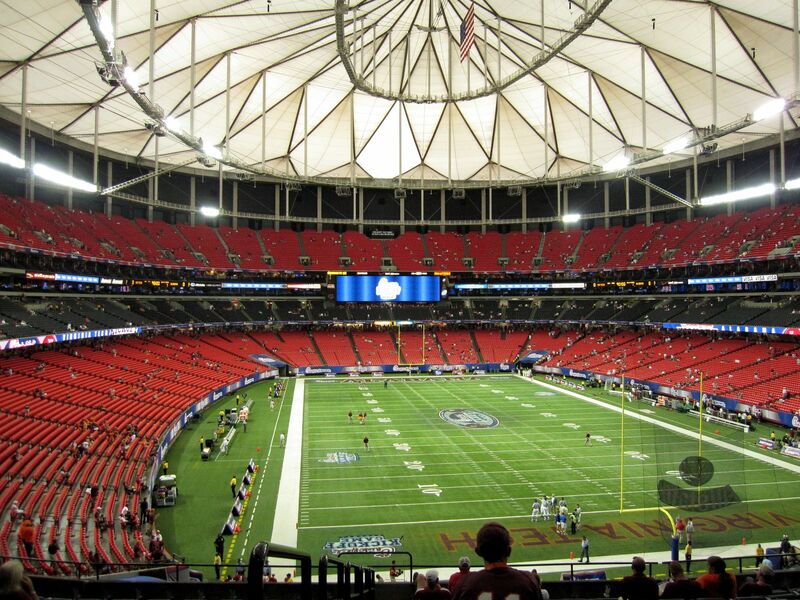 New lighting, loudspeakers and giant screens came in 2009. 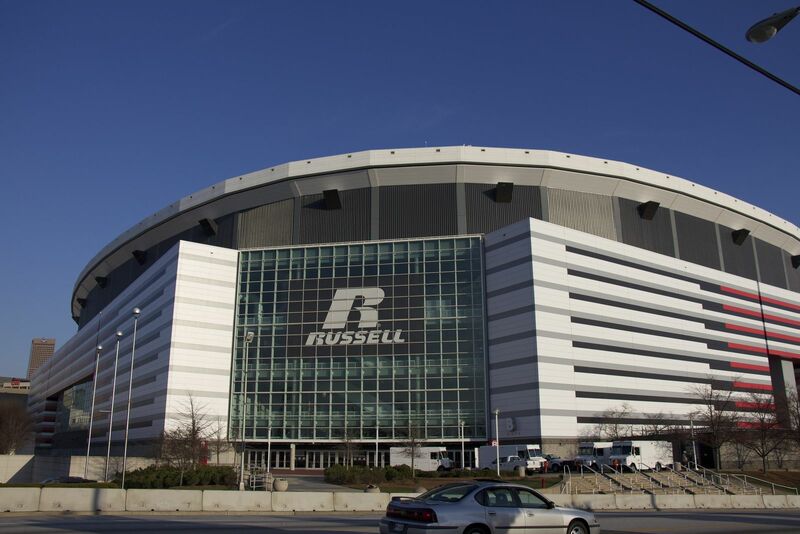 The exterior cladding was relaid as well. 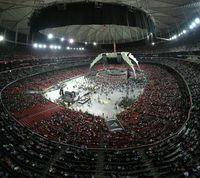 Apart from American football, Georgia Dome also hosts basketball, football and wrestling events, among other. 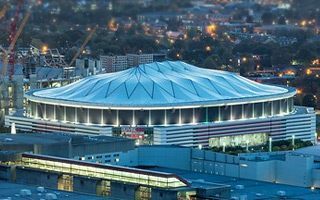 In 1996 the stadium also became a venue of the Olympics, being divided into two smaller arenas for basketball, rhythmic gymnastics and handball. 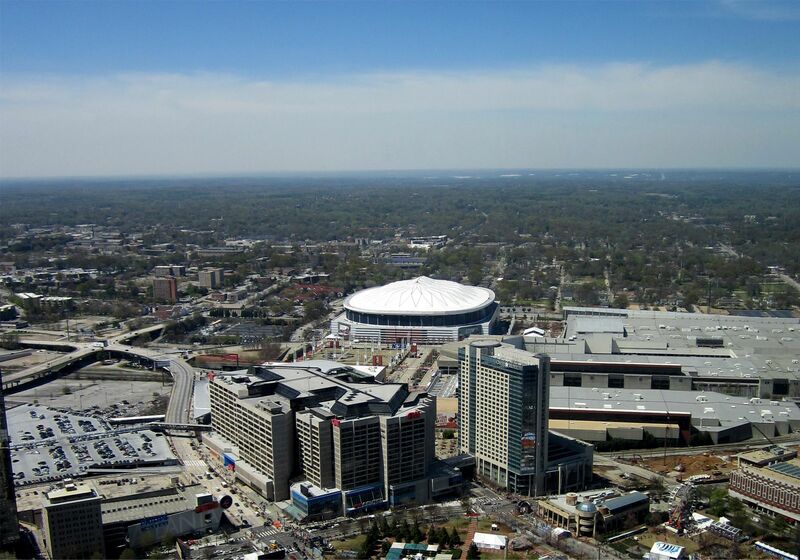 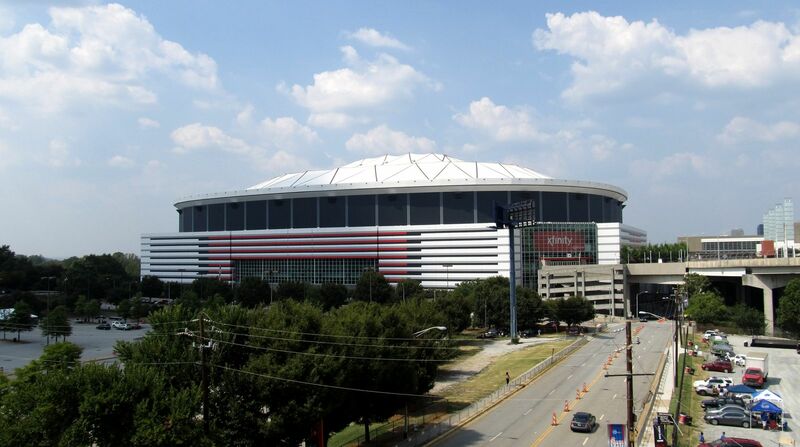 In 2014 the new stadium for Atlanta Falcons is to see its groundbreaking next to Georgia Dome, beginning the countdown to current stadium’s demolition. 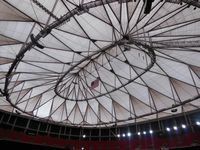 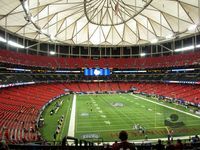 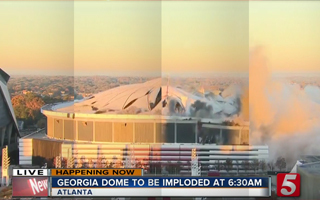 It was expected to go down piece by piece, but Atlanta’s famous Georgia dome may be destroyed with a single implosion late next year. 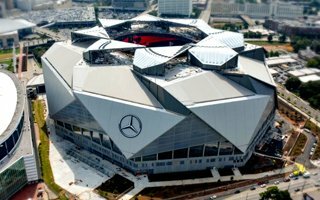 In just half a year the ultramodern Mercedes-Benz Stadium will be ready. 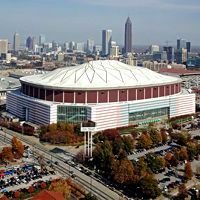 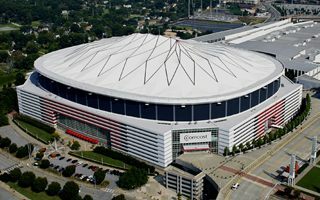 This means demolition of Georgia Dome is imminent. 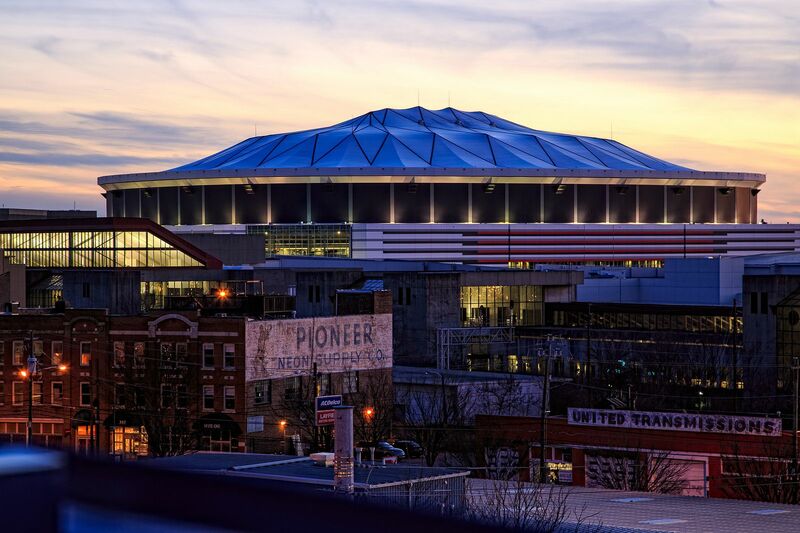 All of the building will be gone by early 2018.